I love red white and blue decor. 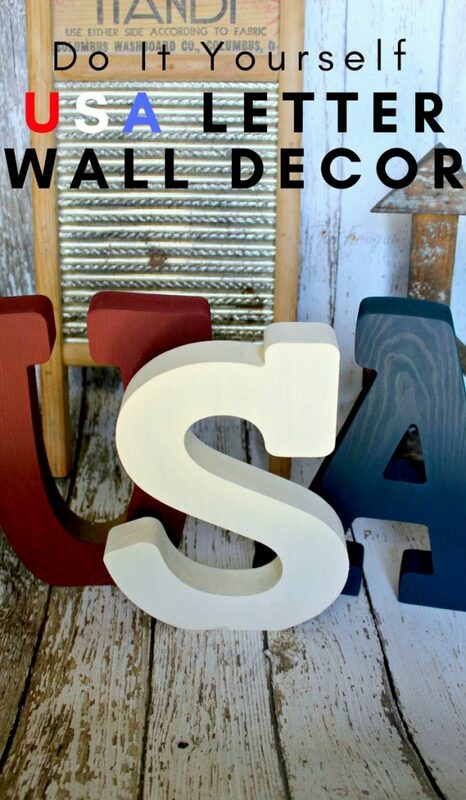 Some call it Americana, some call it patriotic, I just call it summer decor! I can put it up around Memorial Day and leave it up until Labor Day, score! 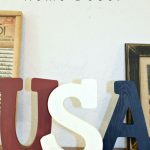 I love being able to DIY this decor (it doesn't always turn out trust me!) 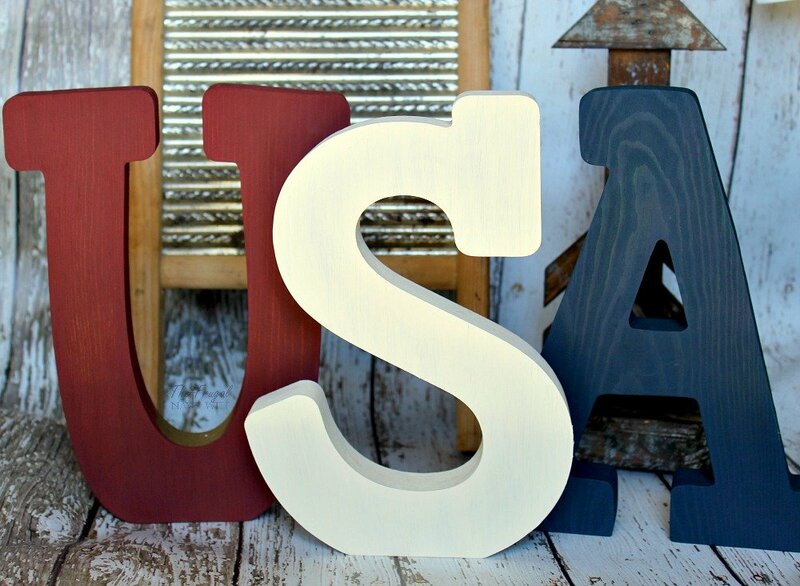 But this red white and blue USA Letter Wall Decor is one of my favorites so far! 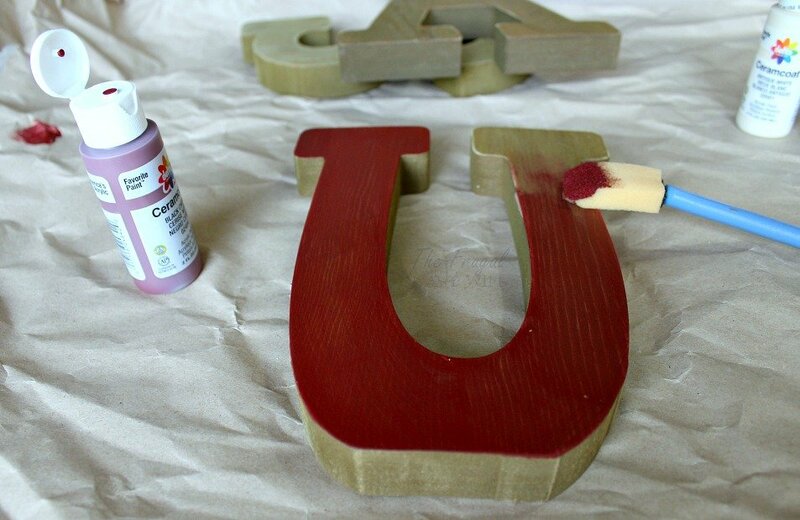 I suggest the wood letters I used because you can sand them up or they have a way to hang them on the wall if you want. 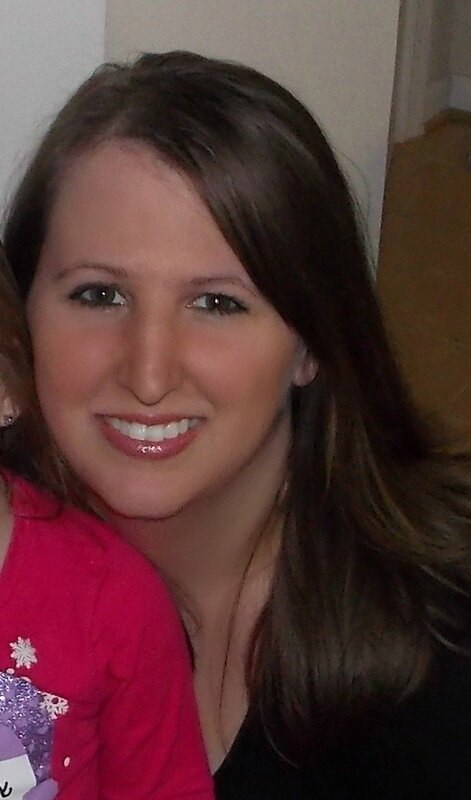 I did the cardboard ones at one point and while cheaper, the look I wanted just wasn't there. I had to buy everything new because I didn't even have the paint. After their coupon, I paid about $30 for this project. I found one like it on Etsy for $45 so I am happy I still saved money! 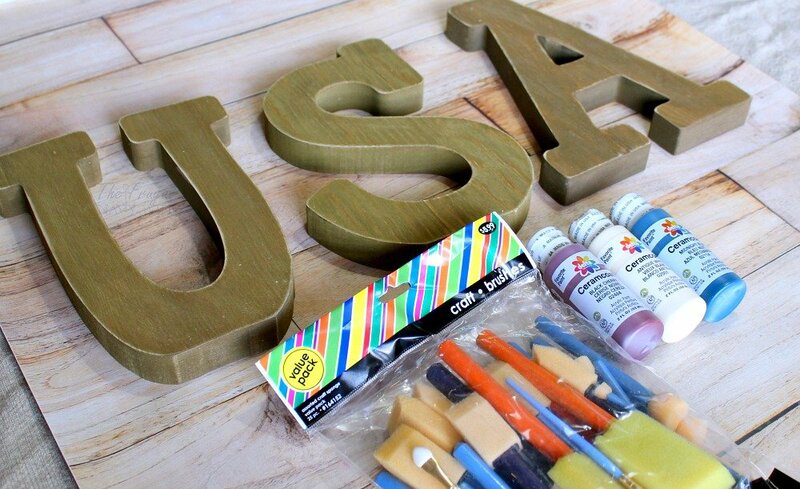 If you have the paint and brushes you can do this project for under $25! Next start painting. Start with the front, some colors will need one coat, the white one needed 3 coats to get it where I liked it. Then you want to paint the sides, top, and bottom. You don't need to paint the back unless you really want too, I didn't. 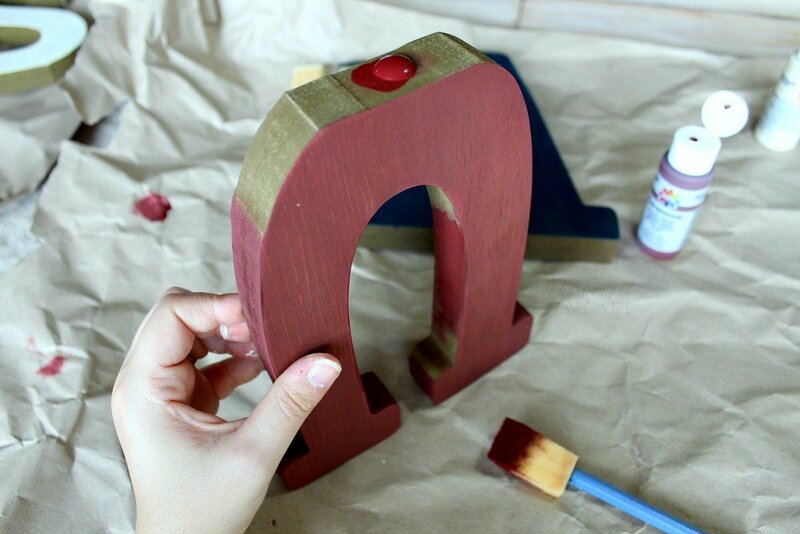 The paint on the sides doesn't have to be as perfect at the front just enough to add color. Then repeat for each letter, painting each letter a different color. I suggest letting them dry overnight. 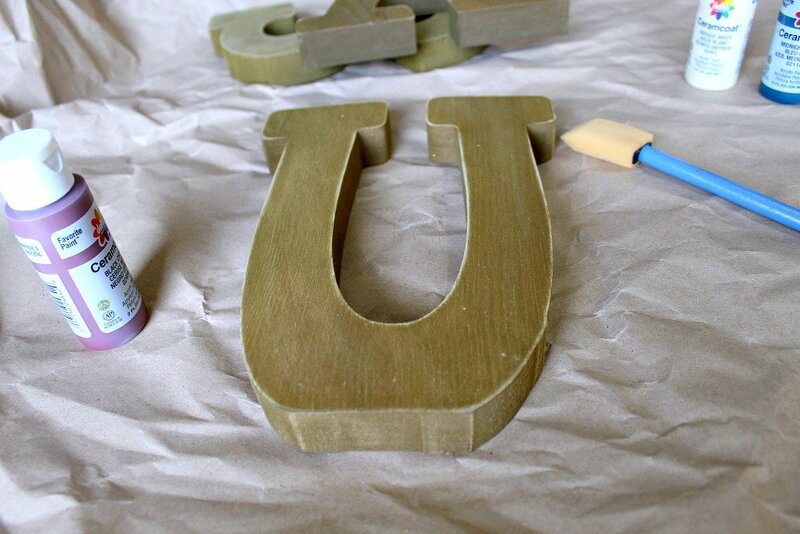 The next day I suggest topping with a coat of Modge Podge it gives it a nice gloss and seals the paint. Once completely dry you can display them all summer long! 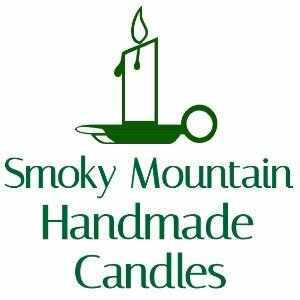 They make decor from Memorial Day to Labor Day!